If the thought of having to undergo a dental procedure makes your child exceptionally anxious or fearful, they may require more than mild oral sedatives or nitrous oxide to feel at ease in the dental chair. 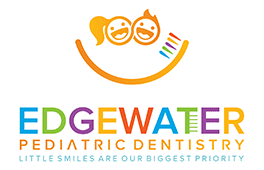 At Edgewater Pediatric Dentistry in Edgewater, New Jersey, board-certified pediatric dentist, Rosalie Nguyen, DMD, and her team offer intravenous (IV) sedation to help your child stay relaxed and comfortable throughout their visit. To learn more, call the office or schedule an appointment online today. IV sedation uses an intravenous needle to deliver calming medications directly into your child’s veins. Because these medicines hit your child’s bloodstream immediately, the onset of sedation happens much faster than with oral sedation or even nitrous oxide (laughing gas). Dr. Nguyen and her team generally use IV sedation for patients requiring lengthy dental procedures, as it’s both highly effective and allows them to safely extend and control sedation for as long as necessary. Does my child need IV sedation? Any child with moderate to major dental needs who feel extremely fearful or anxious about going to the dentist’s office may benefit from IV sedation. It’s also a helpful solution for children who’re very uncooperative, either because they’re too young or their fears prevent them from remaining calm during the needed procedure. IV sedation can also be ideal in cases where oral sedatives either haven’t been effective or may not be an option. The only pediatric patients who may not be able to receive IV sedation are those who are also afraid of needles. IV sedation is considered a form of deep sedation, in that it put your child to sleep and helps them stay completely relaxed and comfortable throughout their treatment. Although your child may still move a bit or even make noises while under IV sedation, they may not be able to breathe as well on their own. For this reason, Dr. Nguyen always takes the utmost precaution to protect your child’s health and safety when using IV sedation. In addition to using advanced electronic technology to closely monitor your child’s breathing, pulse rate, blood pressure, and oxygen saturation levels, a qualified specialist also provides continuous clinical observation of your child’s vital signs until they’re brought out of sedation. How do I prepare my child for IV sedation? If Dr. Nguyen and her team have determined that IV sedation is the right approach for your child, they’ll give you detailed instructions to help you prepare your child for the procedure. This includes explicit eating and drinking instructions in the hours leading up to your child’s appointment. Although specific recommendations are based on your child’s age, most children shouldn’t have any food or non-clear liquids, including milk, after midnight on the night before their procedure. Water, apple juice, and other clear liquids may be consumed up to two hours before their scheduled appointment. To find out if IV sedation can help your child feel less anxious about going to the dentist, call Edgewater Pediatric Dentistry or schedule an appointment online today.